The new James Bond film will be called 'Shatterhand'. The next chapter in the spy franchise will enter production on April 6 this year in Pinewood Studios in London, England, as well as Matera, Italy and after previously being simply known as Bond 25, it's working title has now been revealed via a listing in trade publication Production Weekly. 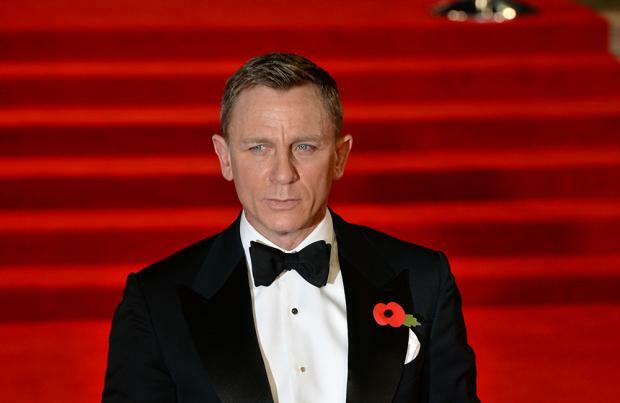 The upcoming film – which is helmed by Cary Fukunaga and will likely be Daniel Craig's last performance as the suave superspy – is set to be released in April 8, 2020, after being pushed back from February 14 of that year amidst a major rewrite of the script. Lupita Nyong'o has also been linked the project and according to Baz Bamigboye's column for the Daily Mail newspaper, producer Barbara Broccoli and Fukunaga have been trying their best to convince the 'Black Panther' star to appear in 'Shatterhand'. Meanwhile, it was previously revealed that Naomie Harris, Ralph Fiennes, and Lea Seydoux will all return for the latest installment. Lea, 33, portrayed Bond girl Dr Madeleine Swann in 2015 movie 'Spectre', and she looks set to reprise her role after support from Craig and the director. Fukanaga previously said: "Lea will be returning." Speaking about the British trio, the director added: "You have some of the best actors in the world here. Why wouldn't I have the best coming back?" Fukunaga was named as the hotly-anticipated movie's new director in September after Danny Boyle walked away from the project over "creative differences". Producers Michael Wilson and Barbara Broccoli said at the time: "We are delighted to be working with Cary. "His versatility and innovation make him an excellent choice for our next James Bond adventure."